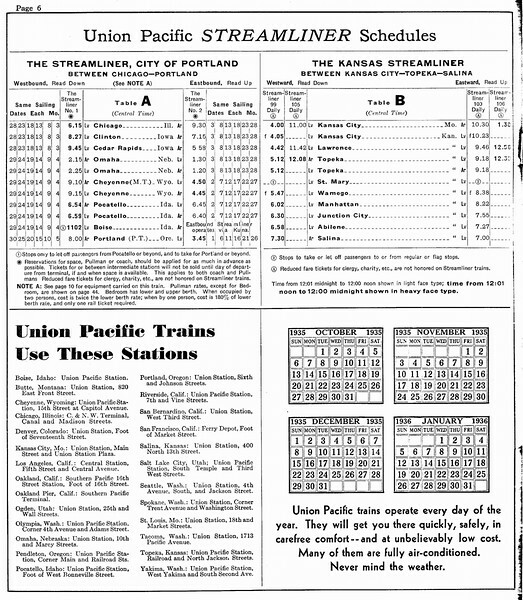 These scans are of Union Pacific Public Timetables (UP-PTT). They are presented full size. Seven UP Public Timetables were issued in 1935. The April 28, 1935 issue is not included here. More pages of timetable data can be found in the "UP Passenger Train Data" galleries. You can download these images by clicking the down-arrow "Download" icon at the lower right.